As the days grow shorter and we become desperate for any fresh colour in the garden it is time to appreciate the turtlehead (Chelone obliqua). I must admit that this is not one of my favourite plants and it is only because so much else in the garden is looking wretched that I can quite bring myself to nudge it into the limelight. I am not quite sure why I feel like this about what is, without question, a useful plant, but perhaps it is because the flowers are supposed to resemble a turtle (the name chelone is Greek for tortoise) and that is not a particularly lovely thing for a flower to look like! But, leaving my prejudices aside, this North American native is a useful ingredient in a border. 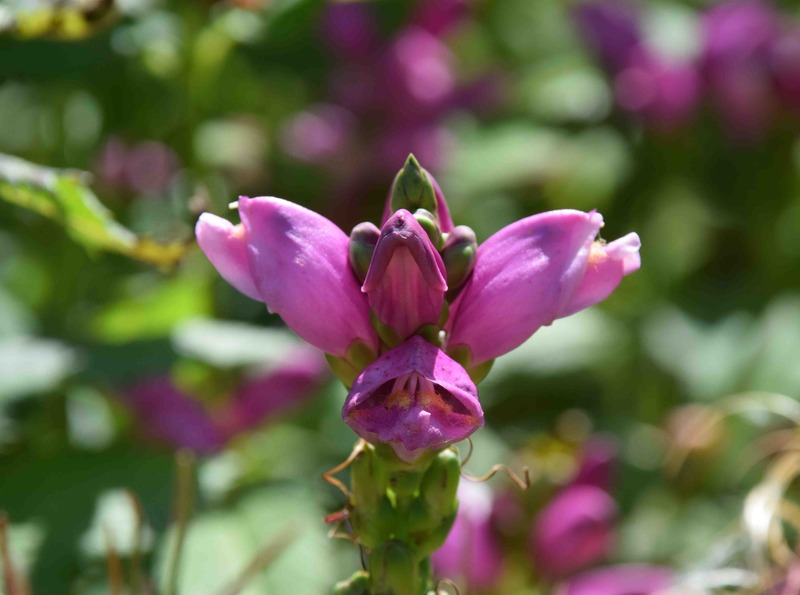 It is, to my eyes, like a fat obedient plant (physostegia) with opposite leaves set at right angles up the stems and squat clusters of flowers, opening over many weeks, similarly aligned. It is native to swampy areas and it does need decent amounts of water in the soil all summer or it can get hit by mildew. Growing in sun or part shade, it has sturdy, upright stems and is one of the plants that could benefit from pinching out the shoot tips in May to encourage better basal branching. The large, toothed leaves are neither ugly nor beautiful and flowering usually starts in August. If you snap off the old flowerheads you should get a second flush. It looks best if planted in a decent clump and it is a natural partner for Michaelmas daisies, Japanese anemones and ornamental grasses. It is easily propagated by division in autumn or spring. It seems that it has not excited plant breeders much either, or there is little natural variation: there is a white-flowered form and a dwarf one that hardly makes the plant easier to love.